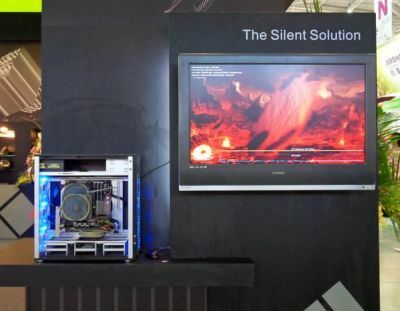 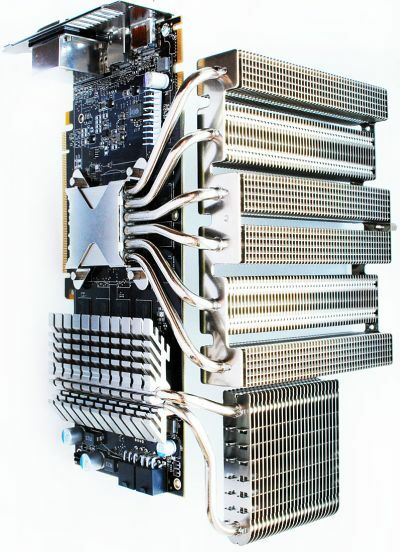 FurMark and an overclocked GTX 480: the intensity of the current reaches 108 amperes! 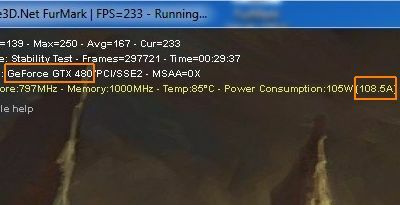 Thermalright Spitfire, FurMark and a GTX 480 Fully Stressed at 66 Degrees! 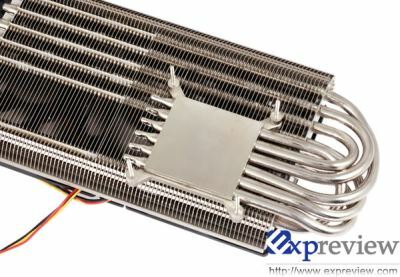 Expreview has published a detailed article on Thermalright’s T-Rad2, a new cooler for GPU. 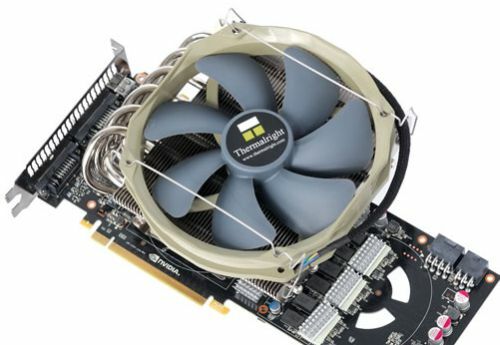 T-Rad2 is compatible with mainstream display cards such as NVIDIA GeForce 9xxx and ATI Radeon HD 38xx/48xx Series. 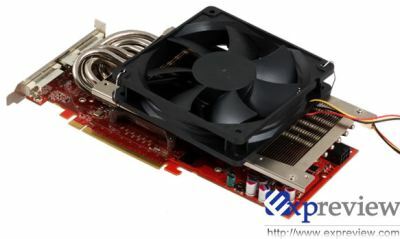 See at the end of the post, the link to the compatibiliy list. 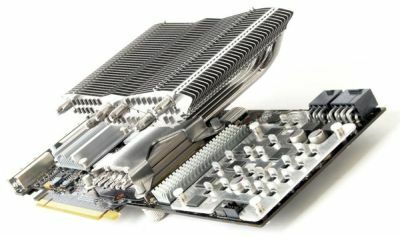 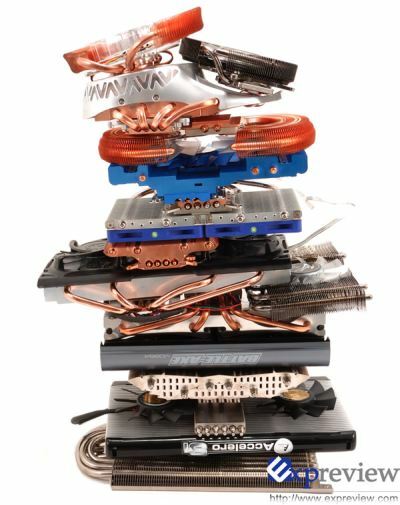 FurMark has been used to overload the GPU.